It only took about one month to restore my 58' Ford 661 Workmaster. The only thing that is not original is the battery. I chose to replace the stock six volt battery with an eight volt for added cranking power. The winters in Illinois is pretty cold. To switch to an eight volt is just putting in the new battery. The old six volt system is able to handel the change without altering anything. The generator will compensate on it's own. Love those olies, because they are the goodies. I use this tractor for all the jobs on my farm. 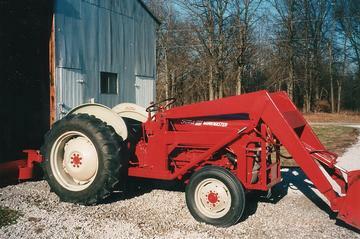 Who doesn't love to restore tractors?